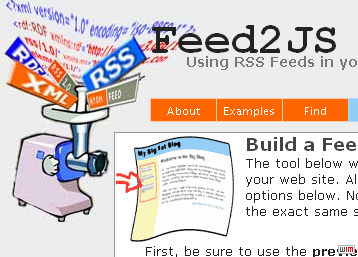 The tool below will help you format a feed's display with the information you want to use on your web site. All you need to enter is the URL for the RSS source, and select the desired options below. Note that we now have a number of mirror Feed2JS sites that can provide the exact same service as we provide here.